Low cost, PC-compatible single board computer in a mini-ATX form factor. Highly integrated design delivers rich multimedia and video features. Wide range of high-speed interfaces provides extensive connectivity. UXGA graphics controller with interfaces for LVDS, RGB, DVI and HDMI panels. 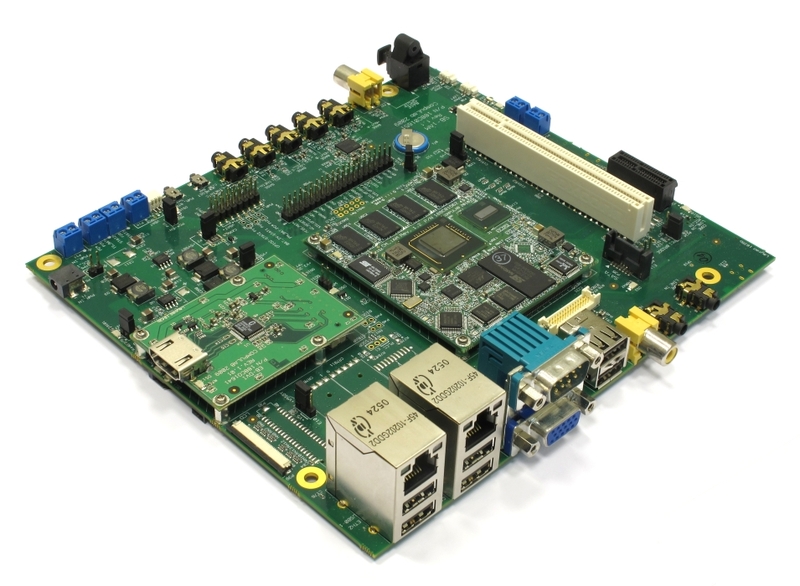 The SBC-iAM is a standard mini-ATX compliant, single board computer. 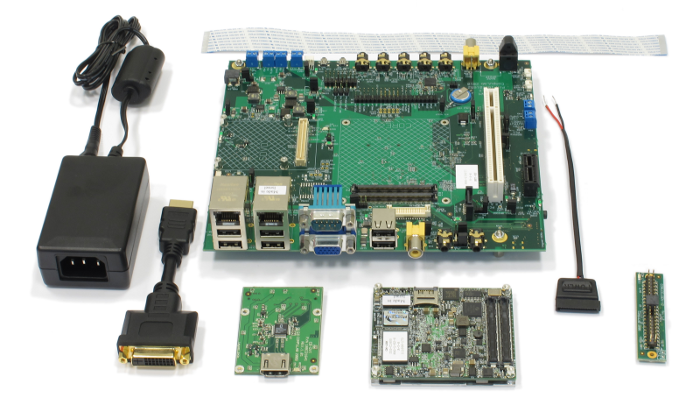 It is implemented by a CM-iAM module providing most of the functions, and a SB-iAM carrier board providing connectors and several additional functions. The rich feature set of the SBC-iAM is customizable according to the price / performance targets of the user's application. The SBC-iAM contains expansion connectors which opens it to the wide range of standard peripheral cards. Wide input range switched power supply is compatible with requirements for telecom and automotive applications. For feature support status, please refer to See O/S Support Coverage Map . The "SB Option" column specifies the P/N code of the SB-iAM carrier board required to have the particular feature. The "CM Option" column specifies the P/N code of the CM-iAM required to have the particular feature. SBC-iAM content is the combination of features provided by the attached CM-iAM and the features implemented on the SB-iAM. To have a particular feature, both the CM and SB options of that feature must be implemented. High efficiency switched power supply. Support of sleep mode. Height ranges from 10 mm to 37 mm, depending on the connectors assembled. The height specified includes the CM-iAM module. Industrial: -40° to 85° C.
Note: The SB-iAM base-board must contain a CM-iAM module for the implementation of a self-contained SBC. Options specified on this page refer to the SB-iAM only.